Including over fifty encounters designed to be dropped into any campaign, scalable scenarios that can be pitted against characters from 1st to 20th level and advice for creating your own deceptive and deadly situations, this is a must for any DM learning how to be just that little bit more devious. Publisher's blurb: "The greatest threat to any adventuring party is a devious Dungeon Master. 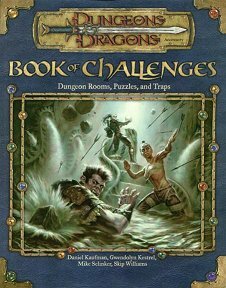 This book is spring-loaded with ideas, both subtle and sinister, that will ensure every gaming session is appropriately hazardous."